If you use the official Twitter app on your iPhone or iPad, you have the option to receive push notifications for events such as when someone mentions you in a tweet, retweets something you tweeted, and more. Depending on how often you tweet, you may want to customize exactly what you're alerted to. Twitter gives you the option to choose what notifications you want to receive. 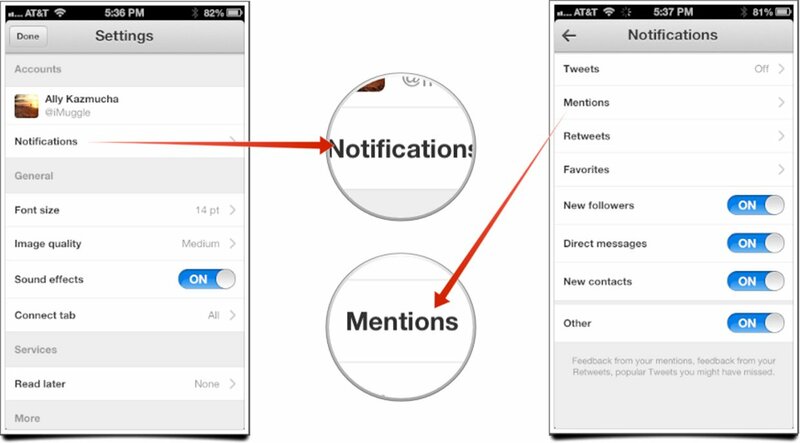 Before beginning, make sure Twitter is allowed to send you notifications within the general Settings app under Notifications. At the very least, you have to have general Notification Center access turned on as well as some kind of alert such as banners or pop-ups. Once you've confirmed Twitter is activated in Notification Center, follow the steps below. 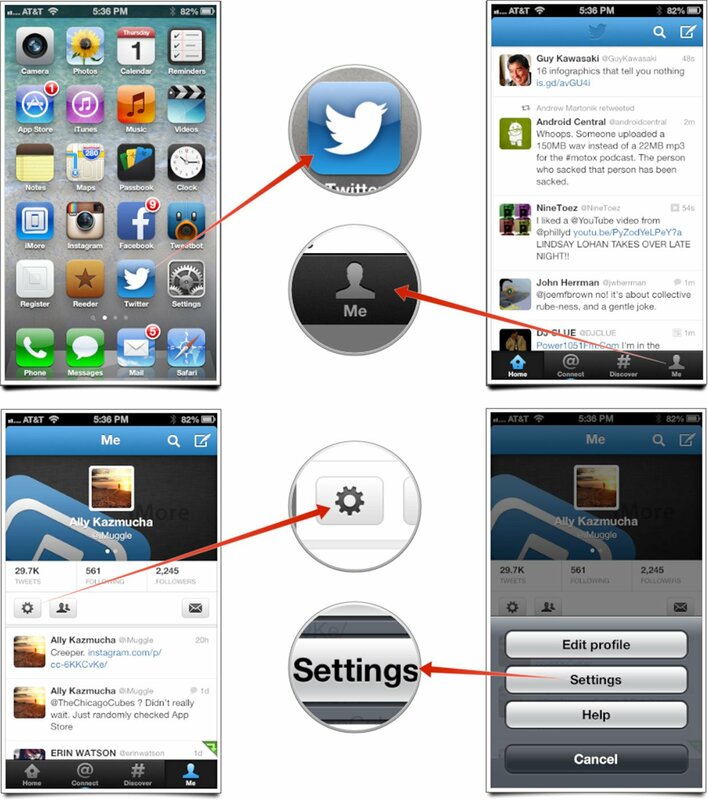 Launch the Twitter app from the Home screen of your iPhone or iPad. Tap on the Me tab along the bottom navigation. Now tap on the Settings gear underneath your profile photo. In the menu that comes up, tap on Settings. Under this menu you can choose to receive notifications for individual items such as all tweets, retweets, mentions, favorites, and more. Turn On what you want to receive notifications for and turn Off what you don't want to receive notifications for. That's all there is to it. Twitter gives you the option to drill down into categories and fine tune notifications for mentions, retweets, and favorites to only people you follow if you choose. Disabling items you don't want or need notifications for can also help save battery life.